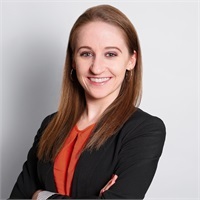 As a supporting advisor, Courtney prepares spending plans for clients, conducts research on financial topics, and works with clients during the onboarding process helping them navigate our many software tools and gathering data. Courtney is enrolled in the CERTIFIED FINANCIAL PLANNER™ professional program at The American College. She has a B.S. in Financial Economics from the University of Maryland, Baltimore County.